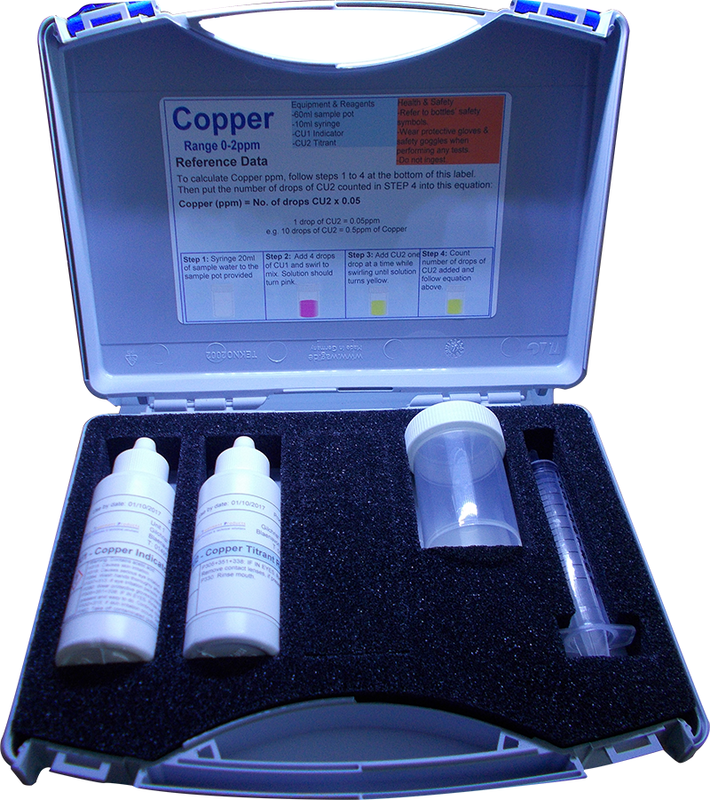 Our Copper kit includes all the equipment & reagents required to measure Free Copper levels within a range of 0-2ppm. The kit includes a sample pot and syringe to perform the tests. Places to monitor Copper: If you want to use it in closed system monitoring you may be interested in our BSRIA BG50 Test Lot we also have available in our Engineers System Specific Test Kits section. Copper is also monitored when using Copper based algaecides in swimming pool applications. The following are some chemical products that can be tested using our Copper Test Kit.